My name is Joe Delaney and I am a professional bagpipe player from Ireland. 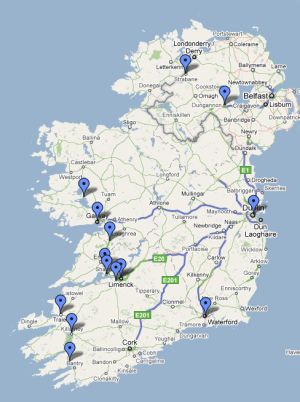 I have played at numerous weddings, funerals, concerts and events all over Ireland and abroad. I hope the information here will help you understand more about how the pipes can benefit and enhance your event. The bagpipes are a unique instrument with haunting and melodious tones that provide listeners with a range of emotions and played correctly, will enhance any occasion with its harmonious sound. They are traditionally associated with events that that require a sense of occasion such as weddings, funeral and corporate events. 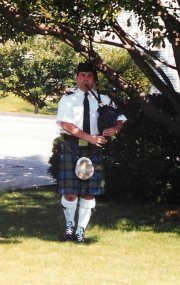 Each occasion requires different set of tunes and ensuring your piper has the repertoire and experience for each occasion is an important decision you should research before hiring a piper. I play events based on your needs, time and location. 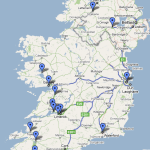 From Cork to Donegal and from Galway to Dublin, I have played in almost every county in Ireland click the map to see just some of the locations where I have performed over the years.